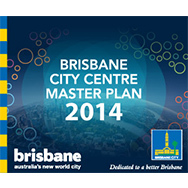 What does Brisbane’s City Plan 2014 look like from a developer’s perspective? Jensen Bowers have closely tracked the drafting and development of the new Brisbane City Plan and since its release we have been analysing and interrogating the Plan, from our client’s perspective. Click here to review our detailed analysis of opportunities by growth area.